Our beautiful bunches of tulips are freshly imported from Holland to our base in Marylebone before being delivered around London and the UK. We have a variety of other bunches to choose from and as one of the capitals most trusted florists, you can sit back, relax, and rest assured that your order will be with you in great time. These 50 burgundy gerbera are for our customers who don't like to send flowers in their usual pink, white, yellow and red colours. Being such a happy flower, this really is a type of a gift which will bring a smile to your loved one. These lovely gerbera flowers are a great gift for a new baby girl, or just a perfect light-hearted bunch tailored for just about any situation. Gerbera have always been a statement of happiness, so why not make someone's day today. Here at Flower Station we have an exciting and unusual array of floral bunches to suit every taste, fit every occasion and give even the most sceptical a truly ’wowed’ feeling. From tropical Birds of Paradise to stunning peonies, there is a great deal to choose from in our range and for those looking for something a bit different, we have got the answer. If you want a little more striking than a traditional bouquet, look no further than a dozen Protea or even a classic and unbeatable dozen sunflowers. Surely there is no better way to make a statement than with a bunch of one of our freshest lilies? In pink, white or orange we have something for everyone and with their huge head and delicate scented petals it is enough to satisfy the hardest customer. In fact, a bunch of flowers in full bloom, colourful and vibrant is the perfect way to say ’I love you’ to that special someone or even surprise a friend or relative for no reason at all, only as an act of spontaneity. We have all angles covered for when that spontaneity takes over and six huge, pink hydrangeas are the only thing that will do. Send flower bunches to United Kingdom on our same day delivery service. Do remember you only have before 12pm for us to be able to send this order successfully with our vast network of local UK florists. Otherwise, please place all orders for a guaranteed next day flower delivery service. Please notice due to the size and awkwardness of some of the bouquets, not all flower bunches can be sent to UK but you will be notified prior to ordering if this is the case with your flower bunch. Please call our florist headquarters in case you re unsure, or if you would like us to further optimise your flower bunch order. Sending flower bunches to London with our London florist shops is easy and you can do so online, or by calling one of our florists in London. We offer a same day flower delivery service to any London postcode and we will take your order up to 3pm. What's more, as long as you do not specify the time of your flower delivery, we will deliver your flower bunch for free at any time between 8am and 6pm. If you are after a specified time for your flower bunch delivery, than there is a small charge of £4.99 per order. Please leave as much information about the order, such as the number of the lucky recipient and do go check the number you give us twice, just in case the person is not at home at the time the delivery comes in. Any specific instructions, as for example, the 3rd floor or ground floor, is always welcome by our specialist flower delivery drivers and will ensure a quick and easy flower bunch delivery. Whenever unsure, please call our 24 hour florist on 020 7724 7525. 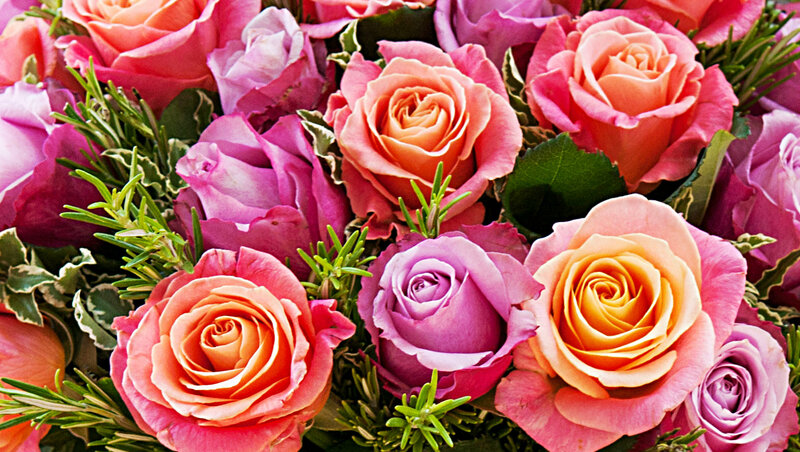 Q. I have bought flowers before from many florists, are all your bouquets hand-tied and selected by trained florists? A. Every single bouquet we deliver is hand-tied and crafted by our florists at our shop in Baker St. Come in an experience it for yourself and see our team of florists at work. Q. Can I request changes to a bouquet on your website? A. It is entirely possible to make alterations, or even a completely unique custom arrangement. Of course the price is subject to change when substitutions are being made but our team will make you aware of any difference in price. Decided, unusually for me, on a bunch of ten sunflowers to welcome in the summer. The massive, bright heads were perfect and everyone at the shop was very friendly and accommodating while I was making my choices. No complaints with this place, not my local but see it when I am going to work and gave it a go. My wife was very happy with the bouquet even though I’m clueless.